Nov 9 Tis the season for the 37th Annual Dickens Fair! The holiday season is always a very special time of year! Families gather...gifts are exchanged...greetings are given. The season would not be complete without visiting the 37th Annual Dickens Fair. 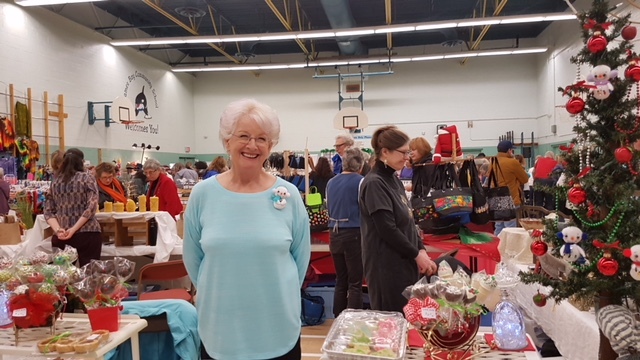 On December 2, from 10 am – 4:30 pm, the James Bay Community School Centre, 140 Oswego Street, is the place to be for one of Victoria's oldest and best-attended Holiday Craft Fairs. This show offers the perfect time for family and friends to take in the magic of the holidays and share in a unique shopping experience! Whether you're a returning or first-time visitor, you will experience a treat at this year's show. There will be free door prize draws, fun activities for the kids and the Dickens' Café run by the Bent Mast Restaurant that will warm you up with delicious foods and beverages. Hats off to the Mark Imhoff Group for donating the funds to pay for the Chicken Lady and other fun activities! The Dickens' Fair will feature over 60 local and unique artisans, one-of-a-kind gifts, beautiful holiday décor, and delicious food and baked items. Looking for the perfect gift? You are sure to find something for everyone! Treat yourself, your loved ones, and even your pets! Among our many diverse and talented vendors, you will find a great collection of knitted and hand-woven hats, wraps and cowls perfect for men, women, teens, and tots. Beautiful Icelandic and Fisherman sweaters are sure to keep you warm when it's chilly outside. To complete that perfect look for the holidays, adorn yourself with handcrafted one-of-a-kind rings, necklaces, earrings and bracelets, all beautifully designed with glass, silver, copper, brass, and even paper! Creating a festive holiday atmosphere has never been easier! You will be amazed at the wonderful variety of hanging cloth angels, Santa dolls, snowmen, elves, and reindeer. Hand blown decorated glassworks are a marvel to behold and will add color and personality to your home, and for added warmth, light up the night with decorative candles in a variety of shapes and sizes. From cheerful greeting cards to scenic art prints, pottery to sculpture, and cozy birdhouses for our feathered friends, our exhibitors will not cease to amaze you with their fine workmanship. Don't forget to pamper yourself! All-natural body products for men and women from our talented body care vendors include an amazing array of soaps, lip balms, facemasks, shampoo, and shaving bars. Specialty face creams are also available, as well as salves, infused oils, gels, and body scrubs to name a few. You will want to create the perfect holiday menu with these mouth-watering pleasures from our specialty food vendors. First off, you will discover organic grass fed beef and savory sausages in a variety of flavors, farm raised frozen duck and duck pâté alongside an assortment of smoked cheeses. You can complement your dinners with delectable additions such as hearty soup blends, cheese pâté blends, and an assortment of dips. But that’s not all! We have jams, jellies, marmalades, homemade crackers, and pickled vegetables to add to your appetizer trays. You will also discover culinary infusions and blends, flavored vinegar, fresh salad greens, and homemade dressings for every taste. Furthermore, no holiday table is complete without wonderful table runners, place mats and 100 % cotton tea towels. Holiday sweets are also a must! Bring home some gingerbread cookies, Bake My Day's gourmet and gluten-free baking which is always a favourite. You can also fill someone's stocking with some organic fudge and specialty candies. And for Fido, you will find custom made toys, bedding, and an assortment of accessories, even yummy doggie treats! The Dickens Fair is a destination for all ages. Children and adults alike will love meeting the Chicken Lady's wonderful feathered friends. These amazing birds love attention and are counting on you to bring it. The James Bay Community School PAC committee will be coordinating the children's craft area and will also have a booth set up at our fair. Come out and support those amazing people who do so much for the children. There is so much to explore and discover with our quality local artisans, bakers, and makers. 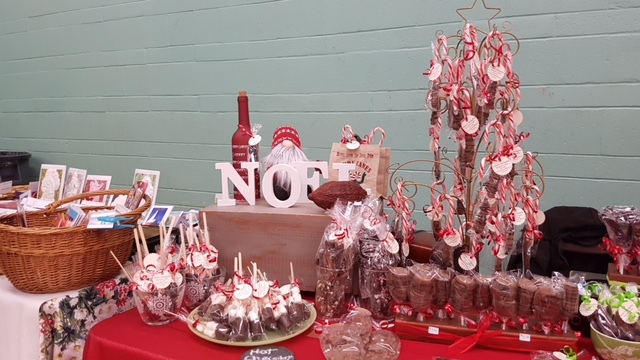 All of this and more are happening on Saturday, December 2, from 10 am to 4:30 pm, at the James Bay Community Center in the heart of James Bay located at 140 Oswego Street. There will be an ATM on site for your convenience. Come in out of the cold and visit the Dickens Fair, a wonderful way to spend the day with family and friends. Jan 16 The Dickens Fair – A James Bay Tradition for over 36 years.